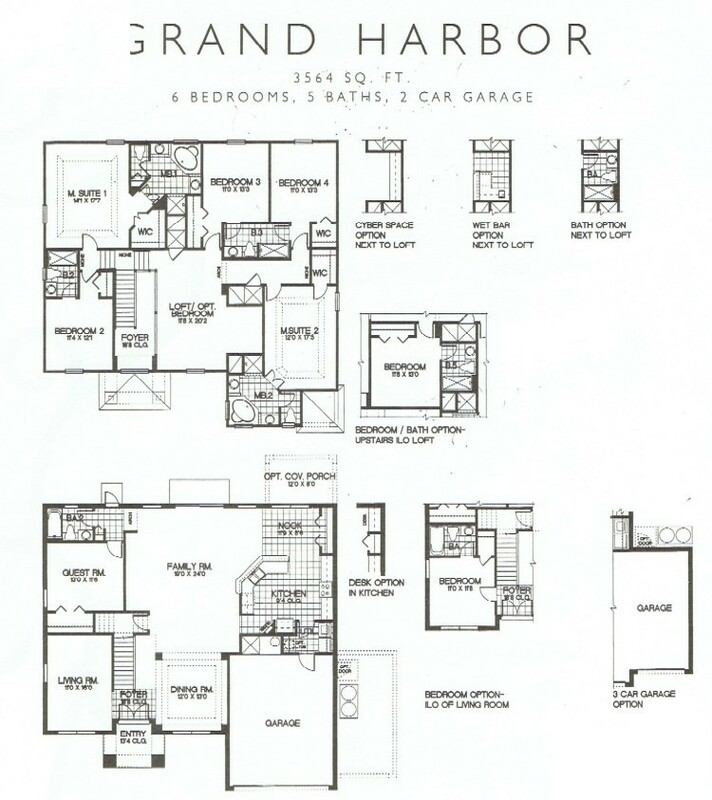 The largest size home on the community, the Grand Harbor comes with either 6 or 7 bedrooms with either 5 or 6 bathrooms. Some homes also have a 3 car garage. The standard configuration is 6 bedrooms, 5 bathrooms with one bedroom on the lower floor and the remainder up stairs. There was the option to change the downstairs living room or the den area upstairs into an additional bedroom & bathroom.